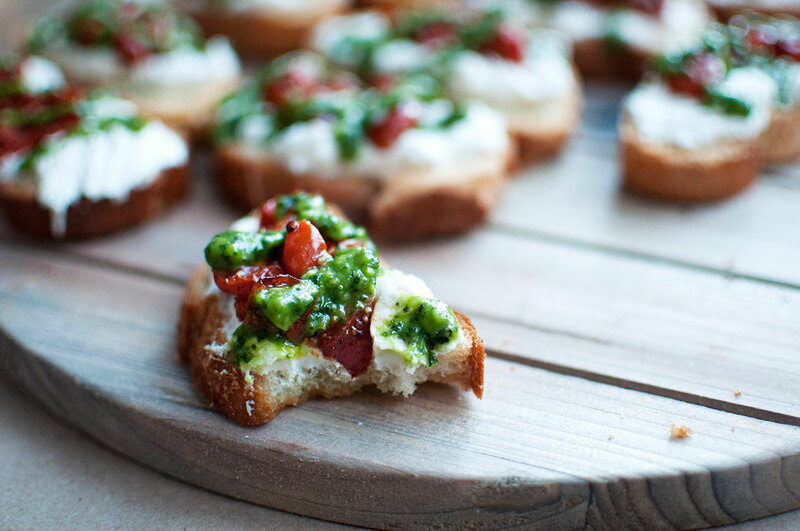 Whenever I am having guests over my favorite little bite to make is a crostini. 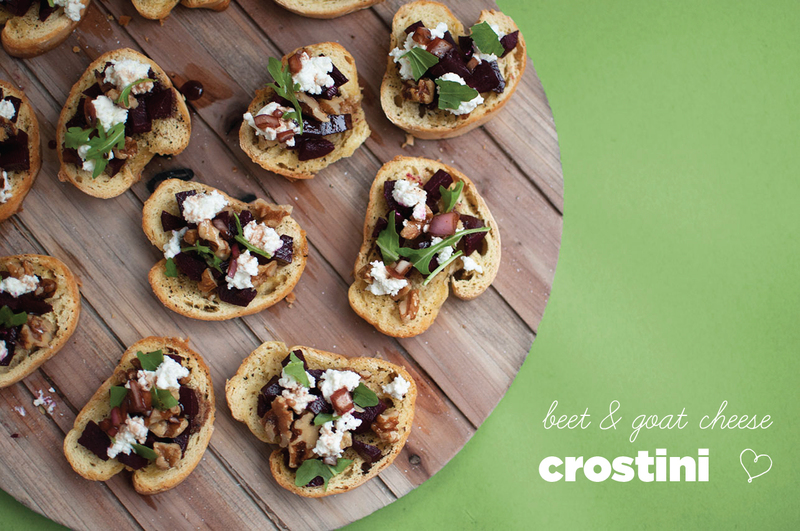 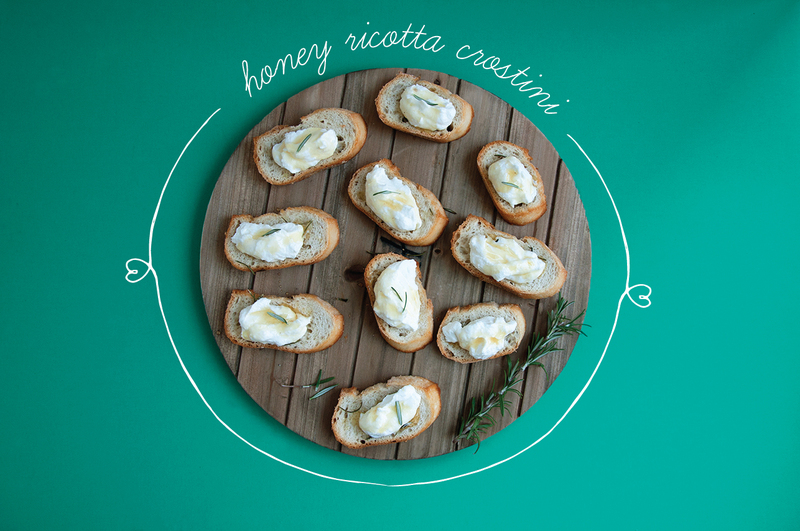 Crostinis are not only great for entertaining but they are extremely easy to make and the flavor combinations of what you put on top and how you assemble them is endless. 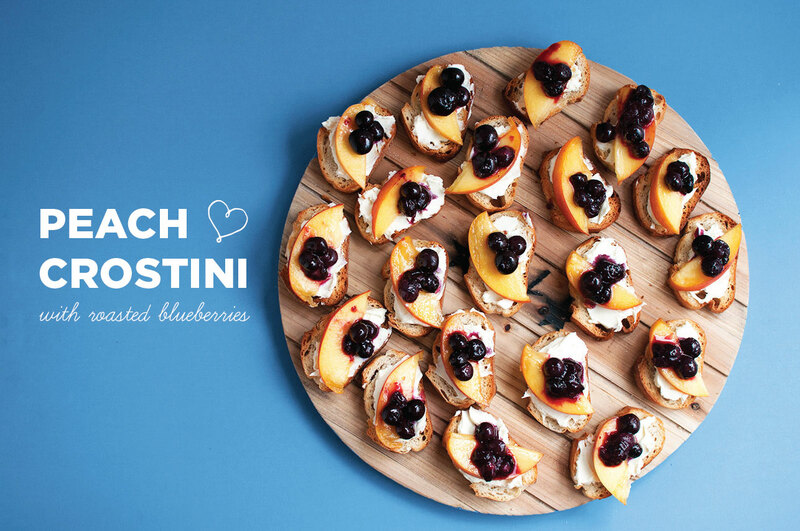 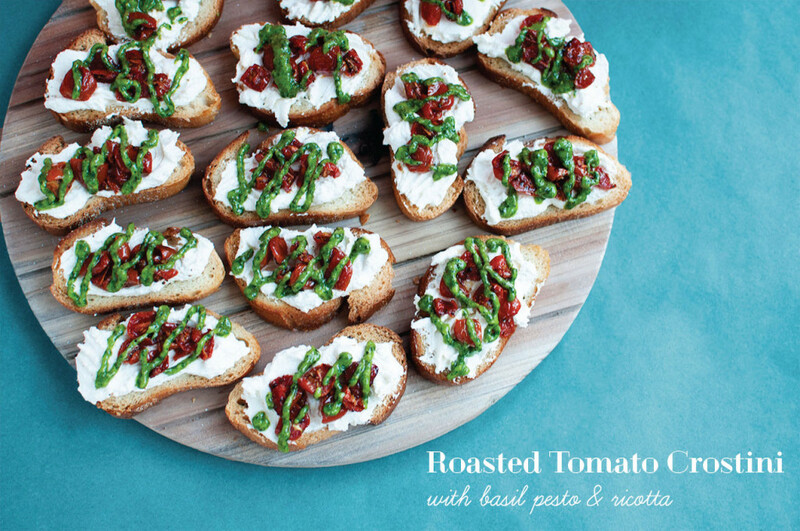 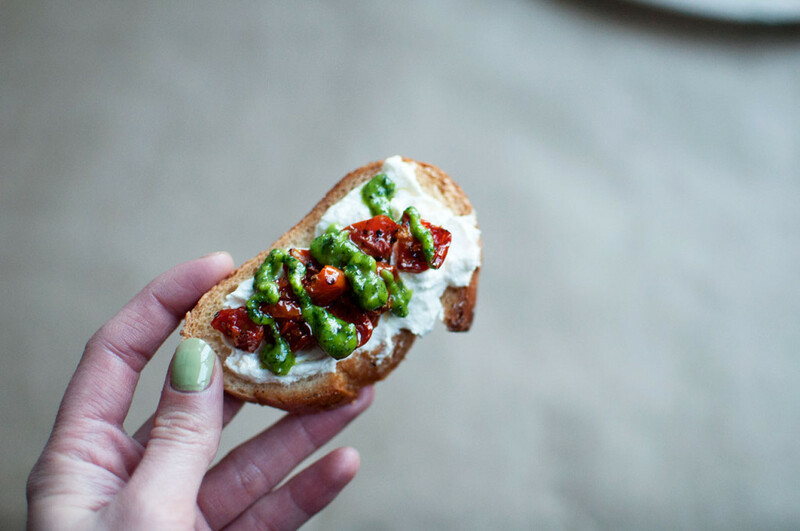 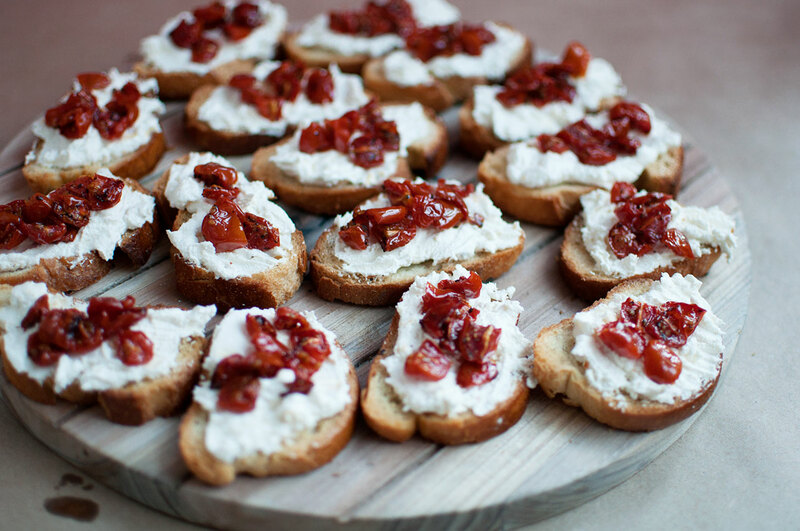 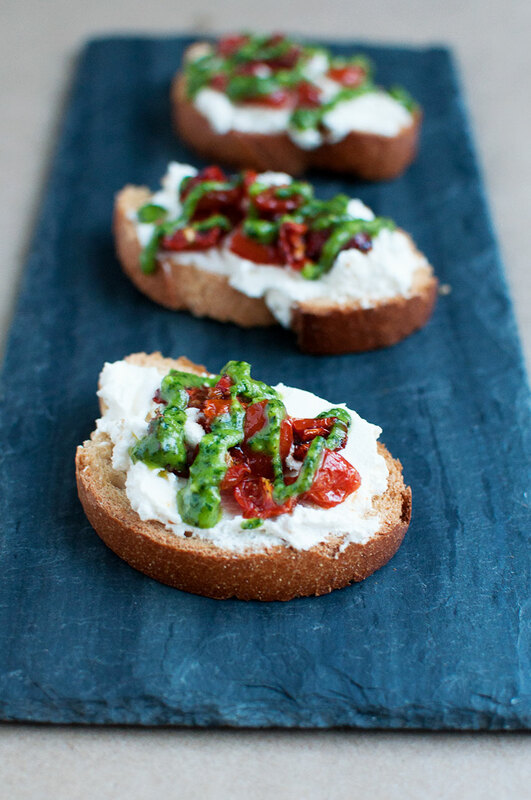 These crostinis are topped with creamy ricotta, roasted cherry tomatoes, and basil pesto. 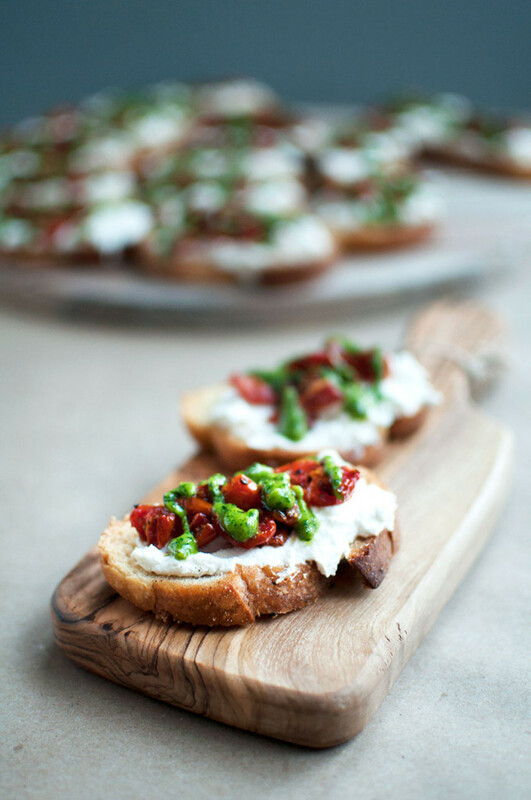 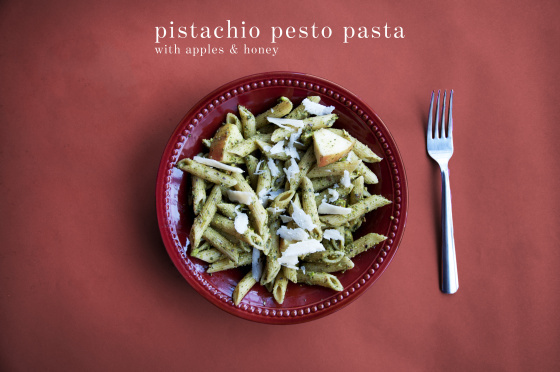 I made these recently when I had two friends of mine over for a working session and enjoyed these with a bottle of Nebbioli red wine. 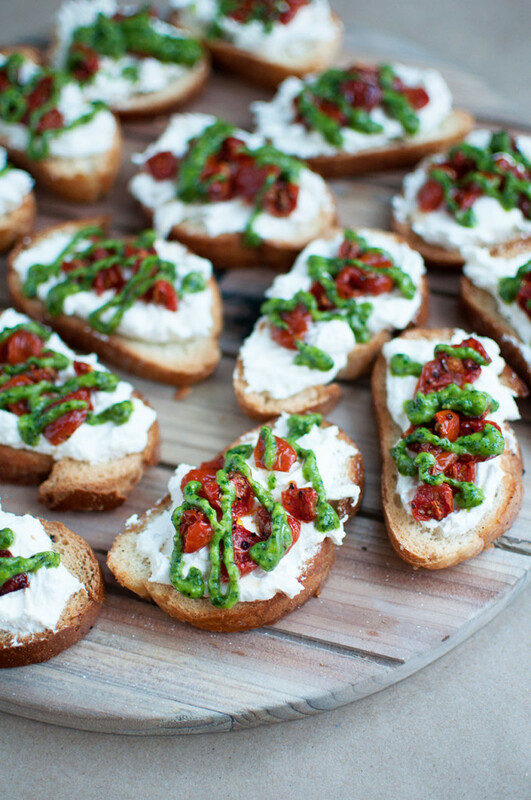 Nothing gets better then some friends, food, and wine! 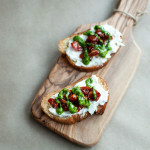 Place in oven and bake for 10-12 minutes or until the edges have turned a golden brown and the slices become "mini toasts"